Bill Hinds, Lee Highsmith and Jameson Gregg have been selected as the speakers for UNG's Fall 2015 Commencement Ceremonies. The University of North Georgia (UNG) will hold its fall commencement ceremonies on Friday, Dec. 11, and Saturday, Dec. 12 on the university's Gainesville and Dahlonega campuses. 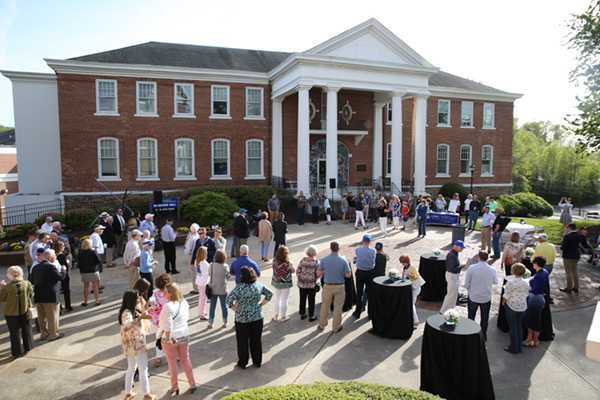 The ceremony on Dec. 11 will be held at 6 p.m. in the Hugh Mills Physical Education Complex on UNG's Gainesville Campus, and will honor all graduates from the Gainesville and Oconee campuses. There will be two ceremonies on Dec. 12 at 10 a.m. and 2 p.m. in the Memorial Hall Gymnasium on UNG's Dahlonega Campus. The morning ceremony will honor graduates of the College of Arts & Letters, College of Education, and University College. The afternoon ceremony will honor graduates of the College of Health Sciences & Professions, College of Science & Mathematics, and Mike Cottrell College of Business. Due to anticipated attendance, tickets are required for the ceremony. Students who have applied for fall graduation can pick up their graduation packets, which include their designated amount of tickets, at their home campus bookstore the week before graduation, Dec. 7-11. Graduates are instructed to read through all information and instructions given in the graduation packets, and should arrive 45 minutes prior to graduation to prepare and line-up for the ceremony. Graduates and guests should also allow extra time for traffic and parking when arriving for the ceremony. A separate commissioning ceremony will also be held Dec. 11, beginning at 3 p.m., for members of the Corps of Cadets entering the armed forces as second lieutenants. Individual commissioning ceremonies for 16 cadets will be held in the atrium of the Brooks Pennington Jr. Military Leadership Center. A reception for commissioning cadets will be held immediately before each ceremony in room 112 of the Military Leadership Center. 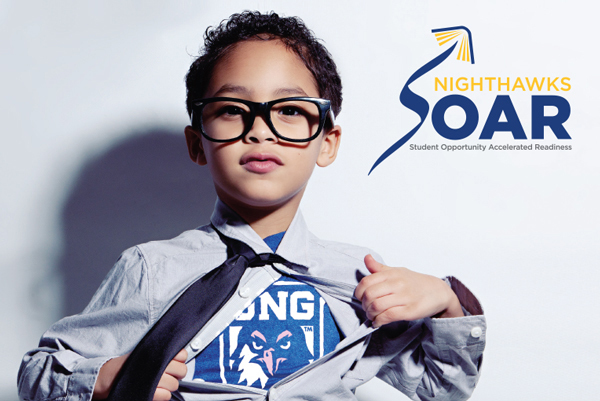 UNG has selected a commencement speaker for each ceremony to inspire graduates and provide them with a sense of encouragement and direction. Lee D. Highsmith is the executive director for Junior Achievement of North Georgia, which serves young people east of Athens, west of Dalton and all points in between. She graduated from the University of Georgia with a bachelor's degree in education and taught for several years in both the public and private sectors before turning to non-profit work. 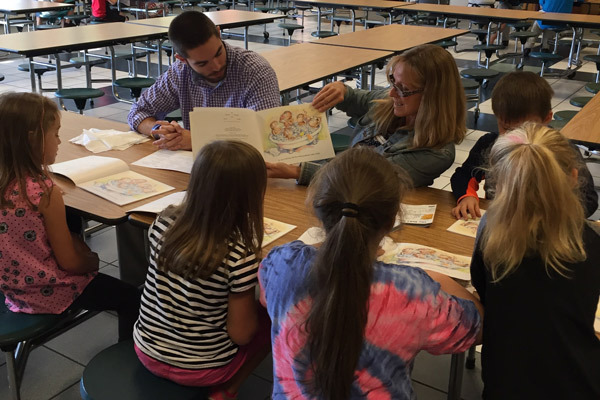 Currently, she is working with UNG students on campuses in Dahlonega, Gainesville and Oconee to facilitate and train them in connection with volunteer opportunities with Junior Achievement. She serves as president of the Gainesville Rotary Club, which is the largest club north of Atlanta, and is the board chair for the North Georgia Camp & Retreat Ministries of the North Georgia Conference of the United Methodist Church. Bill Hinds is the drawing half of the team that created the sports comic strip Tank McNamara. Tank has run in as many as 300 papers since 1975. In 1987, he was named Sports Cartoonist of the Year by the National Cartoonists Society. When writer Jeff Millar passed away in November 2012, Hinds took over the writing duties. Additionally, he created, writes and draws the cartoon feature Buzz Beamer for the magazine Sports Illustrated Kids. In 2001, he won the New Media division award at the National Cartoonists Society's Reuben Awards for his online animations featuring Buzz. In 2010, Hinds traveled on a NCS/USO trip with several other cartoonists to visit troops in Iraq and he and fellow cartoonists have made several other NCS/USO trips to visit wounded soldiers in base hospitals in the U.S. He graduated with a Bachelor of Fine Arts from Stephen F. Austin State University. He formerly served on the board of both the National Cartoonists Society and the Newspaper Features Council. Presently, he serves on the board of the National Cartoonist Society Foundation. Jameson Gregg was selected as the 2015 Georgia Author of the Year for his first novel, "Luck Be a Chicken," which also won first place in the annual Northeast Georgia Writers' Club competition. He also contributed short stories to the Stonepile Writers Anthology No. 's I, II and III, which are published by the University of North Georgia Press. From 1984 to 2001, Gregg practiced business, corporate, banking and real estate law in Georgia's second-oldest law firm. There he achieved and still maintains an AV Preeminent Peer Review Rating by Martindale-Hubbell, the highest recognition possible in the legal industry, for his professionalism and ethics. 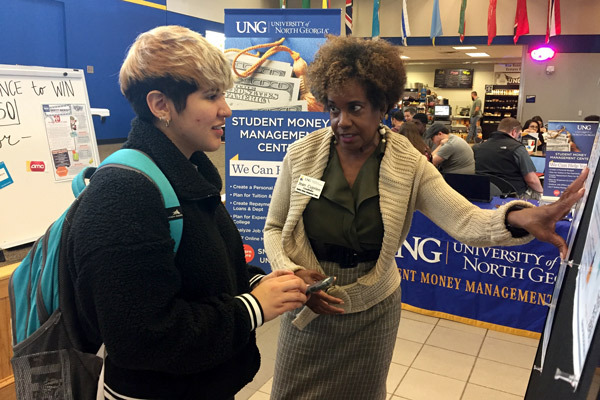 In 2011 at UNG, Gregg taught as an instructor of the legal environment of business. He has a bachelor's degree in business administration from the University of Mississippi and earned his law degree from the Mississippi College School of Law. Highsmith will speak at the Gainesville Campus ceremony, Hinds will speak at the Dahlonega Campus morning ceremony, and Gregg will speak at the Dahlonega Campus afternoon ceremony. For more information about fall commencement, including information and instructions for graduates, visit UNG's commencement website at www.ung.edu/commencement/index.php.